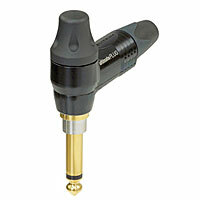 Neutrik Professional 2-Pole 1/4" Right-Angle Phone Plug, Gold Plated Contacts, Black Plated Body. NP2RX-ULTIMATE Plug combines the functions of the silentPLUG and timbrePLUG in one innovative, versatile product. The ultimatePLUG automatically mutes (shorts) an instrument (guitar) cable to avoid pops and squeals when changing the instrument (guitar) under load. 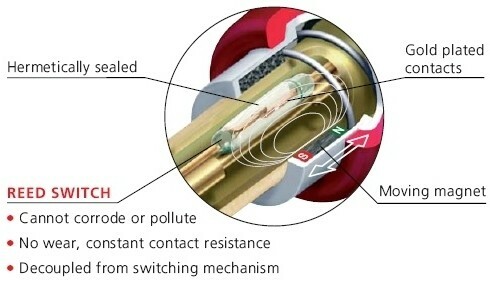 The integrated silent switch is based on REED-technology and guarantees a lifetime beyond 10,000 mating cycles. Neutrik’s ultimatePLUG provides the possibility to change the timbre of your guitar sound from neutral, clear sound to warm characteristics in 4 steps by turning a knob on the plug. A wide range of new sounds opens. 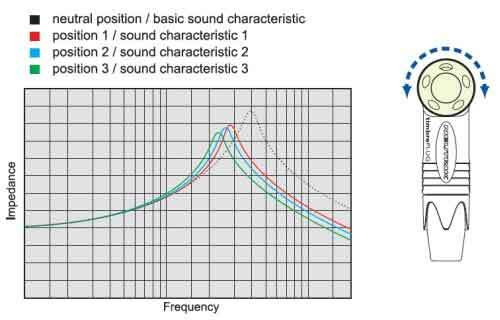 Please note that the signal isnt muted with some types of active electric guitars which are equipped with tip-ring-sleeve jacks that tap to activate the guitar power supply.